When You Buy 2-Wednesdays, 10-31-18! On Wednesday, 10-31-18, all All Wine is 15%-Off when you buy any 2+ bottles of Any Type Wine in the store! https://winedenver.net/wp-content/uploads/2017/04/Background-300x300.png 0 0 admin https://winedenver.net/wp-content/uploads/2017/04/Background-300x300.png admin2018-10-30 14:00:032018-10-26 10:17:53When You Buy 2-Wednesdays, 10-31-18! 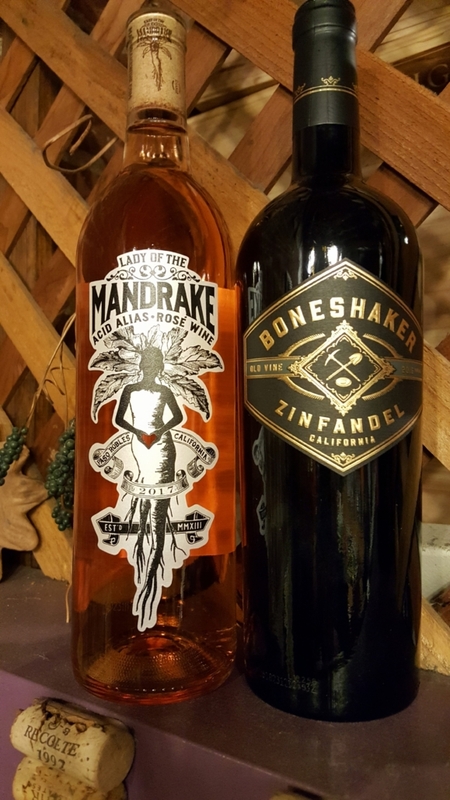 Free Friday Wine Tasting, 10-26-18! On Friday, 10-26-18, we will be pouring the Lady of the Mandrake Acid Alias Rose 2017, from Paso Robles, California, as well as the Boneshaker Old Vine Zinfandel 2016, from California. We will have these open for tasting and discounted from 1pm-6pm! We look forward to seeing you at the tasting! http://winedenver.net/wp-content/uploads/2018/10/20181025_161555-e1540507202731.jpg 889 500 admin https://winedenver.net/wp-content/uploads/2017/04/Background-300x300.png admin2018-10-25 16:41:242018-10-25 16:41:24Free Friday Wine Tasting, 10-26-18! When You Buy 2-Wednesdays, 10-24-18! On Wednesday, 10-24-18, all Domestic White Wine is 15%-Off when you buy any 2+ bottles of Domestic White Wine in the store! https://winedenver.net/wp-content/uploads/2017/04/Background-300x300.png 0 0 admin https://winedenver.net/wp-content/uploads/2017/04/Background-300x300.png admin2018-10-23 14:29:512018-10-23 14:29:51When You Buy 2-Wednesdays, 10-24-18! Free Friday Wine Tasting, 10-19-18! On Friday, 10-19-18, we will be pouring two different expressions of the Pinot Noir grape. 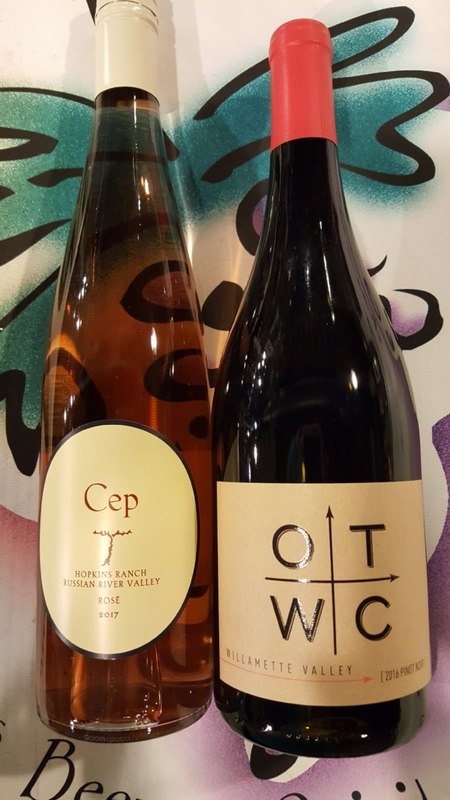 We will feature the Cep Hopkins Ranch Rose 2017, from the Russian River Valley in California, as well as the Oregon Trails Wine Company Pinot Noir 2016, from the Willamette Valley in Oregon. We will have these open for tasting and discounted from 1pm-6pm! We look forward to seeing you at the tasting! http://winedenver.net/wp-content/uploads/2018/10/20181018_163358-e1539903178551.jpg 889 500 admin https://winedenver.net/wp-content/uploads/2017/04/Background-300x300.png admin2018-10-18 16:54:192018-10-18 16:54:19Free Friday Wine Tasting, 10-19-18! When You Buy 2-Wednesdays, 10-17-18! On Wednesday, 10-17-18, all Imported Red Wine is 15%-Off when you buy any 2+ bottles of Imported Red Wine in the store! https://winedenver.net/wp-content/uploads/2017/04/Background-300x300.png 0 0 admin https://winedenver.net/wp-content/uploads/2017/04/Background-300x300.png admin2018-10-16 12:58:432018-10-16 12:58:43When You Buy 2-Wednesdays, 10-17-18! 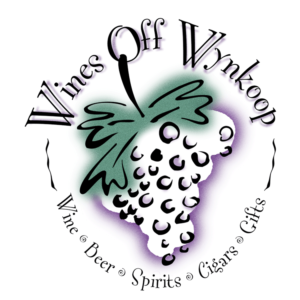 Free Friday Wine Tasting, 10-12-18! 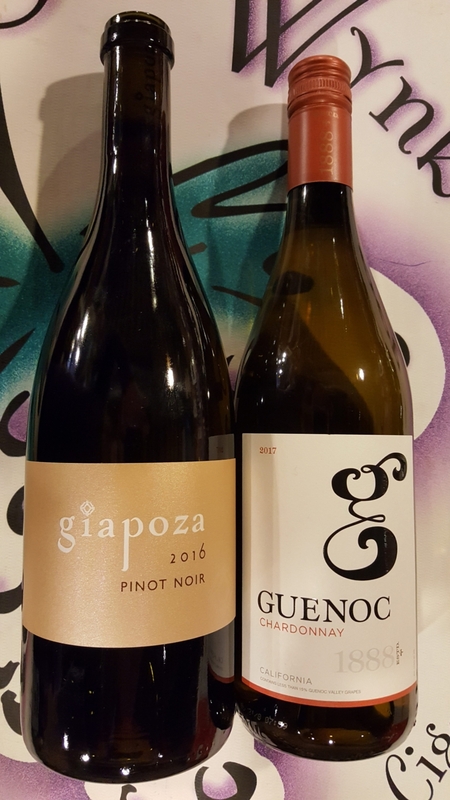 On Friday, 10-12-18, we will be featuring the Guenoc “G Series” Chardonnay 2017, from California, as well as the Giapoza Pinot Noir 2016, also from California. We will have these open for tasting and discounted from 1pm-6pm! We look forward to seeing you at the tasting! http://winedenver.net/wp-content/uploads/2018/10/20181011_132000-e1539286510744.jpg 889 500 admin https://winedenver.net/wp-content/uploads/2017/04/Background-300x300.png admin2018-10-11 13:35:462018-10-11 13:35:46Free Friday Wine Tasting, 10-12-18! When You Buy 2-Wednesdays 10-10-18! On Wednesday, 10-10-18, all Imported White Wine is 15%-Off when you buy any 2+ bottles of Imported White Wine in the store! https://winedenver.net/wp-content/uploads/2017/04/Background-300x300.png 0 0 admin https://winedenver.net/wp-content/uploads/2017/04/Background-300x300.png admin2018-10-09 15:44:502018-10-09 15:44:50When You Buy 2-Wednesdays 10-10-18! Free Friday Wine Tasting 10-5-18! 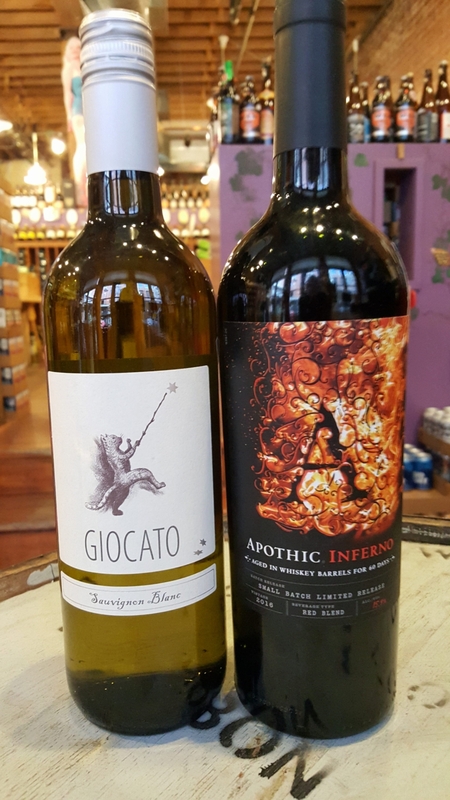 On Friday, 10-5-18, we will be pouring the Giocato Sauvignon Blanc 2016, from the Primorska region of Slovenia, as well as the Apothic Inferno 2016, a whiskey barrel-aged American red blend. We will have these open for tasting and discounted from 1pm-6pm! We look forward to seeing you at the tasting! http://winedenver.net/wp-content/uploads/2018/10/20181004_170230_001-e1538695716963.jpg 889 500 admin https://winedenver.net/wp-content/uploads/2017/04/Background-300x300.png admin2018-10-04 17:33:472018-10-04 17:33:47Free Friday Wine Tasting 10-5-18! When You Buy 2-Wednesdays, 10-3-18! On Wednesday, 10-3-18, all Domestic Red Wine is 15%-Off when you buy any 2+ bottles of Domestic Red Wine in the store! https://winedenver.net/wp-content/uploads/2017/04/Background-300x300.png 0 0 admin https://winedenver.net/wp-content/uploads/2017/04/Background-300x300.png admin2018-10-02 14:57:292018-10-02 14:57:29When You Buy 2-Wednesdays, 10-3-18!